Summer break is quickly approaching and that means that family vacations are on the horizon!! But whether you’re traveling by plane, train, or automobile, kids can turn travel into a trial of your sanity. I am the first to admit I absolutely HATE car rides and having three children under 6 in the car for long hours is one of the most trying experiences out there! However, I am also a firm believer in family vacations and making memories so away we go in the car each summer as a family! 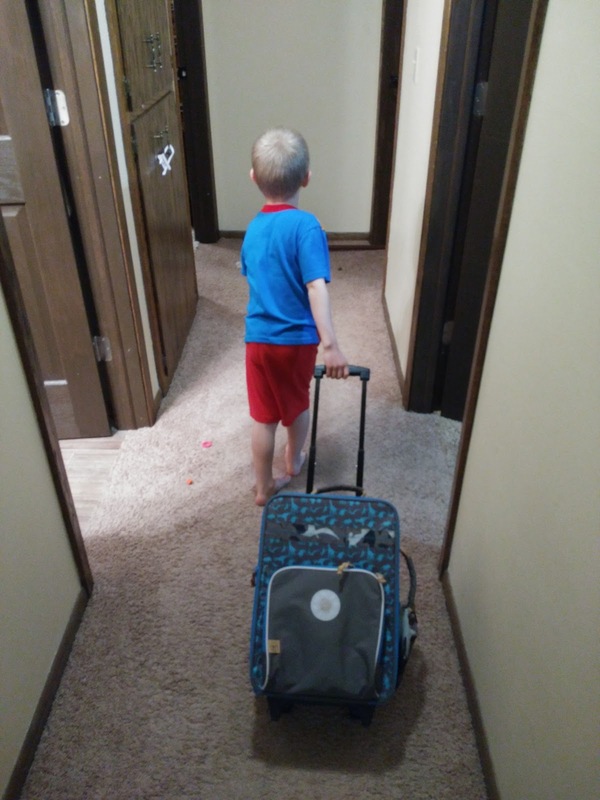 But luckily, over the years, I have learned a few tricks to making vacations easier for the whole family and I have learned about some great products that help out too! It all starts with a fun suitcase that gets children excited for the trip and helpful in packing! I love to travel in style with the 4Kids Trolley Suitcases by Lassig. 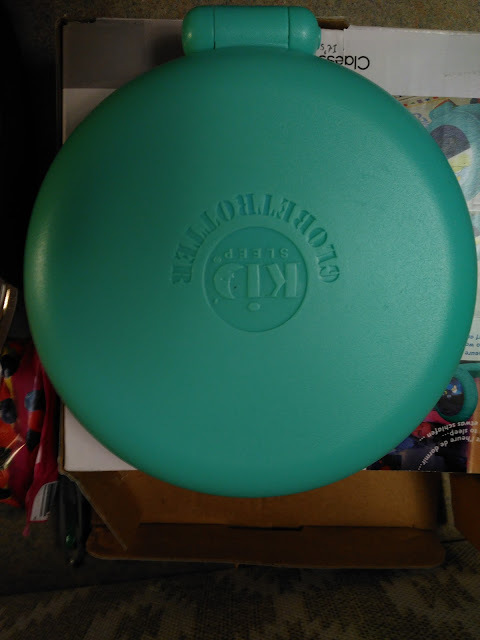 Not only does it feature cute designs and fun colors - it is really fun and easy for our children to pull around and makes my load lighter. The trolley features a large main section, inside elastic straps to secure items, additional bag for dirty clothes or shoes, height adjustable handle and outer pocket. This is a must have for the little traveler. 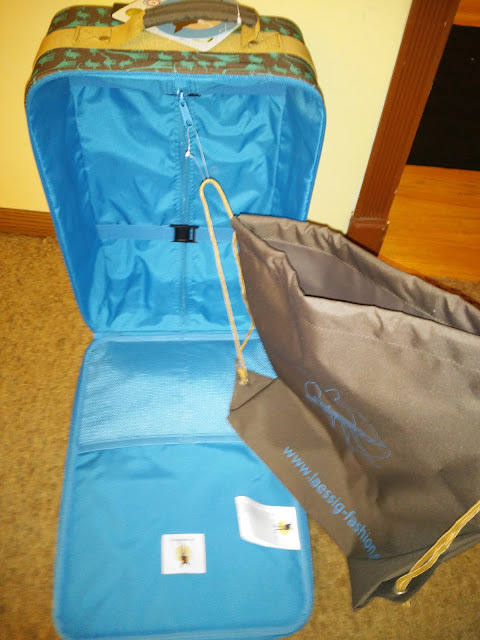 I love the extra bag for shoes or dirty clothes - we ALWAYS need that when traveling! 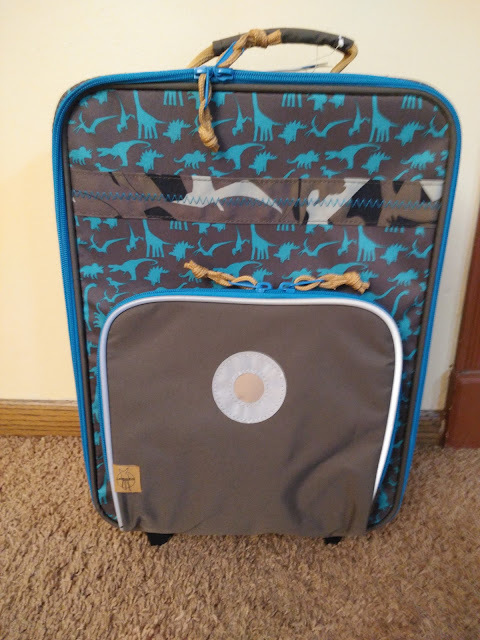 My children love this new suitcase and can't wait to travel with it this summer! Nothing makes traveling harder than lack of sleep! We LOVE our sleep clocks at home for helping the children know when to wake up but we have never had one to travel with....until NOW! 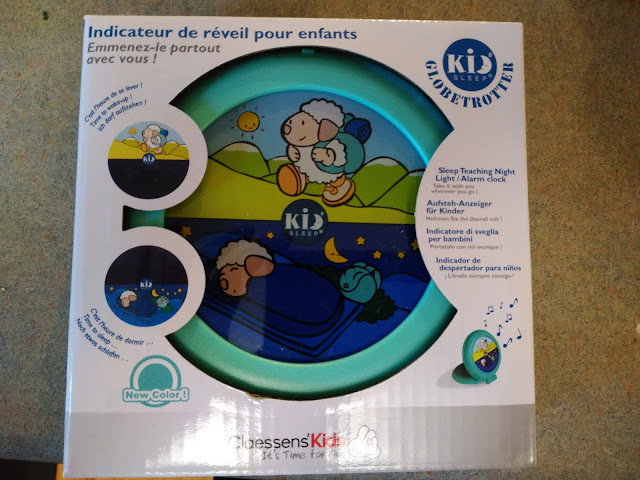 We have been a fan and user of the Claessens' Kid'Sleep clock for years and now everyone is so excited to use the Claessens’ Kid’Sleep Globetrotter when traveling! 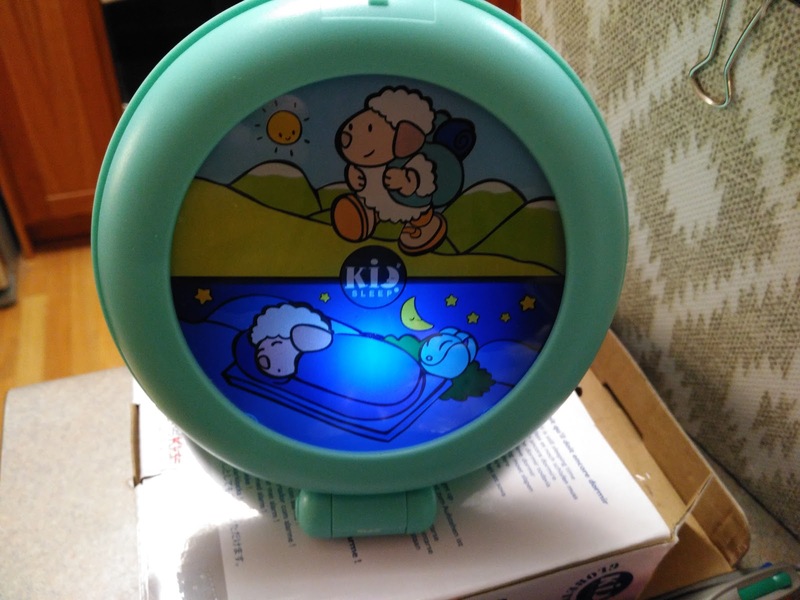 It is the perfect travel companion that can be used as a night light and sleep trainer for young children and an alarm clock for older children. If the sleeping sheep is lit, kids know to stay in bed. When the awake sheep is illuminated, it is okay to get out of bed and start the day. It is super compact and fits nicely in a suitcase and my children have the original Kid'Sleep so they love that they have one they can travel with now! AND, we, as parents, are so happy to not be woken up early in the morning when traveling anymore!! 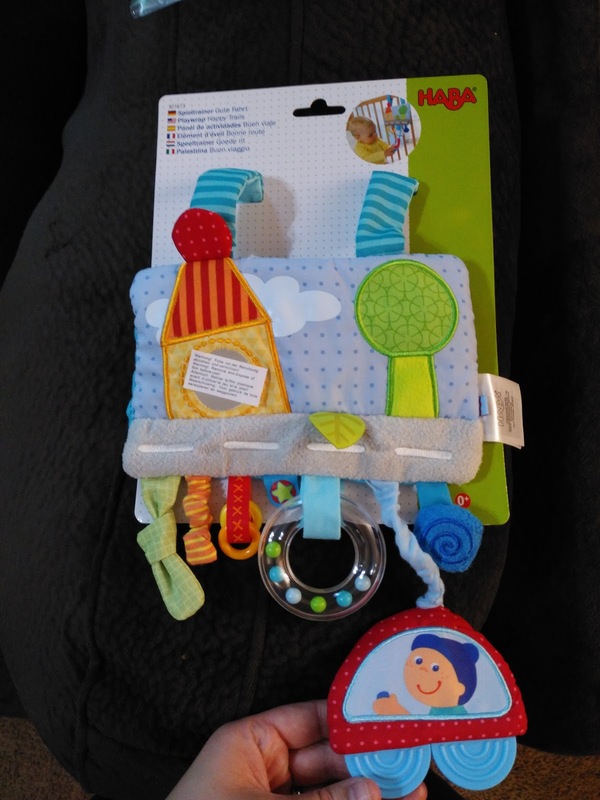 And for entertaining the traveling baby, HABA’s Play Wrap Happy Trails offers plenty of stimulating sounds and textures! 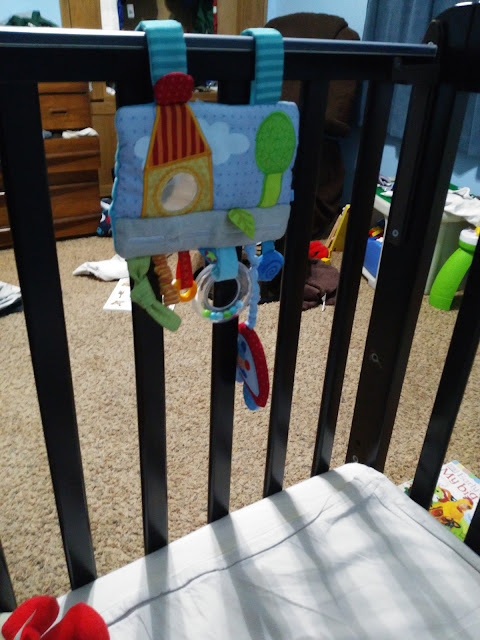 It easily attaches to car seats and cribs to offer endless entertainment and the little car shape includes squeaker. 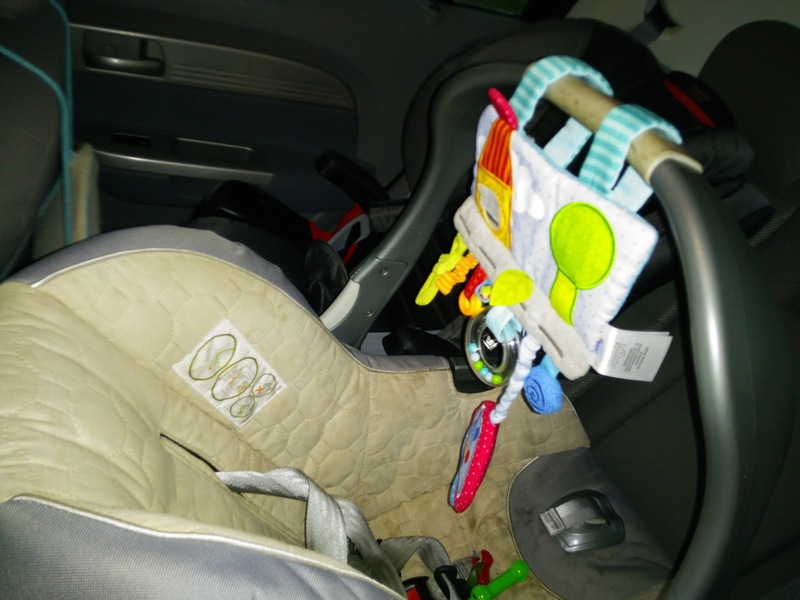 I love that it can move from bed to carseat to wherever your child likes to play! It makes lots of fun noises and will become your baby's new favorite traveling buddy! For ages Birth-1 year.